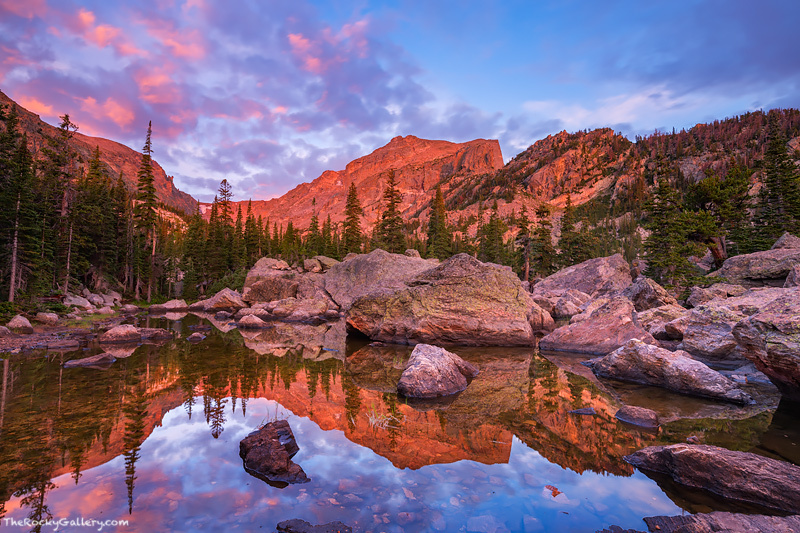 Hallett Peak glows red as the first light of the day lights the peak from Lake Haiyaha. Lake Haiyaha which translates to 'many rocks' in Arapaho is a rocky lake situated south of Dream Lake and off the popular Bear Lake trailhead. Photo © copyright by Thomas Mangan.